Let me start by saying these are the cutest boots I own. 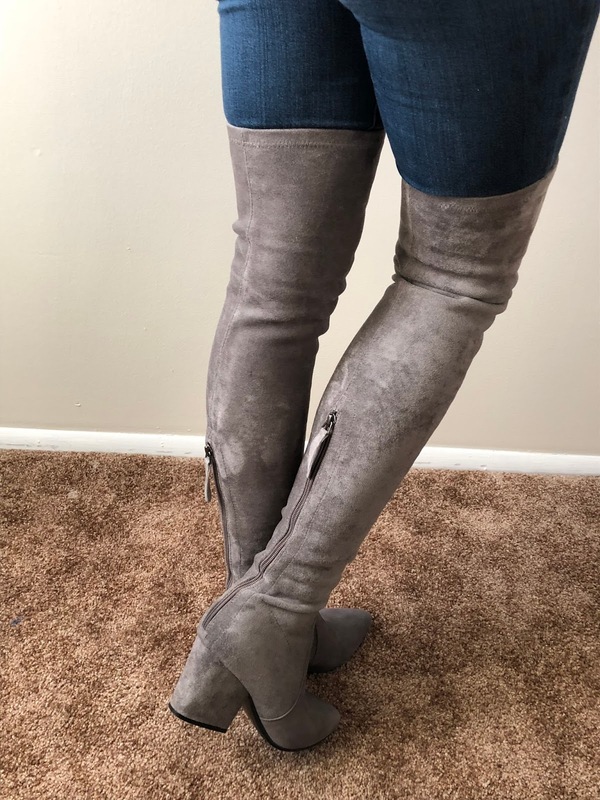 I have been wanting over the knee boots for a long time but couldn't find the right ones either due to color or they weren't narrow enough for my thighs. These boots fit PERFECT! They are comfortable and affordable. I had been eyeing Stuart Weitzman boots for a long time but they are really pricey. These boots hit the mark in terms of price and quality. 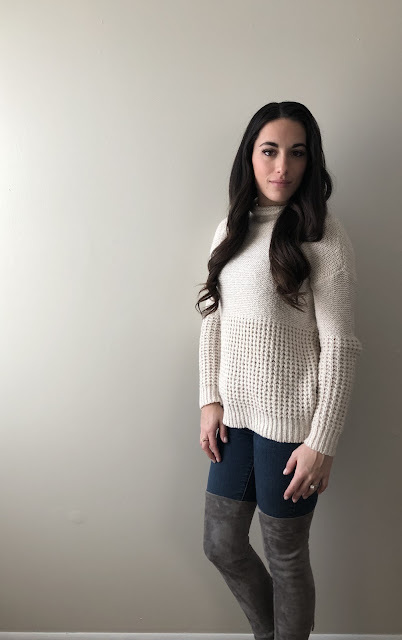 Along with these amazing boots I am obsessed with this sweater. I actually have it in pink as well, both were purchased at Marshalls. I was not able to find it anywhere online but have linked something similar. I love shopping at Marshalls and TJ Maxx, I always find the best stuff for fantastic prices (I am basically addicted). 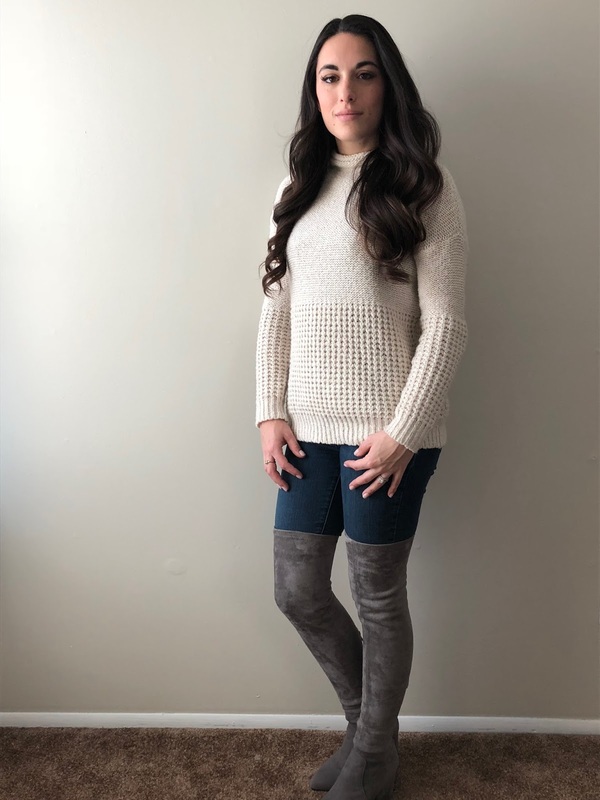 The boots are from Goodnight Macaroon and are certainly worth every penny. I know I will be getting a lot of use out of these!